Aloha! If You Would Like a Customized Surf Clinic, Surf Tour and Nancy, Her Team Visit Your Surfing Location Please Reach Out to Nancy directly. Australian & New Zealand Residents Please Ask about Our Gold Coast Rates! Rates below are + taxes/handling. 1 Hrs are for children 5-8 yrs. Subject to taxes not included in above rates depending upon country. All 3 & 5 hour clinics transport is included and with the 5 hour clinics lunch is provided. Subject to taxes not included in above rates depending upon on island or which country. Transportation is provided for 3 hours if you are within 10 minutes of Diamond Head/Waikiki area on Oahu or on the island Maui near Lahaina. 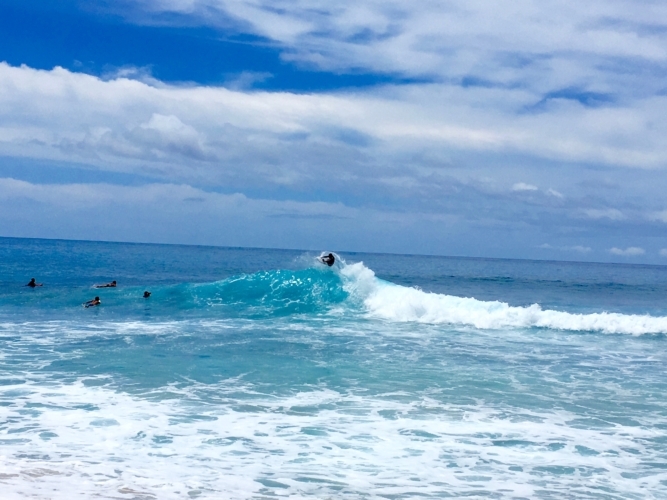 The 5 hour Lessons or Clinics you will be picked up if you are within 30 minutes of the surfing spot. Children (ages 5-9) are most welcome. They are encouraged to participate in private lessons as their inherent need is for greater supervision. We offer one hour private classes for children. Exception to this is Nancy’s “AFTER SCHOOL SURF MENTORING” ages 8 to 16 years old. Only 2 to 4 children/ teens per afternoon class in Australia. 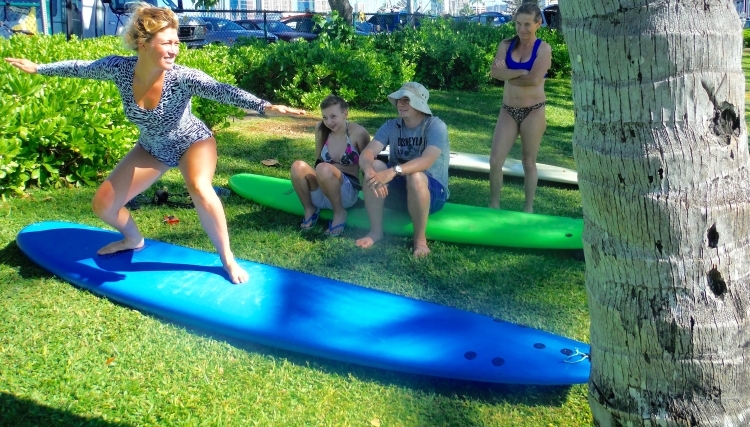 On the island of Oahu, its a one on one private surf classes. Reservations are required and space is limited. Please Email Nancy at nancy@surfclinics.com or Text in advance to reserve your spot. Each student receives a Surfing Certificate. You are provided an UV rash guards to protect each student from rash and the sun.